Although they may not exactly agree on the magnitude of the problem, experts seem to agree that a lack of local parking spaces can contribute to traffic congestion. Consider the following. “It is estimated that about 30 percent of the cars circling a city at any given time are doing so as drivers look for parking. Aside from the frustration factor, those cars are creating traffic congestion, viewed by survey respondents as being the single most significant societal change affecting the parking industry. From an environmental standpoint, that translates to incalculable amounts of wasted fuel and carbon emissions.” This is from the International Parking Institute (IPI) 2012 Emerging Trends in Parking Study. “Congestion and parking are also interrelated since looking for a parking space (called "cruising") creates additional delays and impairs local circulation. In central areas of large cities, cruising may account for more than 10% of the local circulation as drivers can spend 20 minutes looking for a parking spot.“ This is from Dr. Jean-Paul Rodrigue of Hofstra University’s Department of Global Studies and Geography. 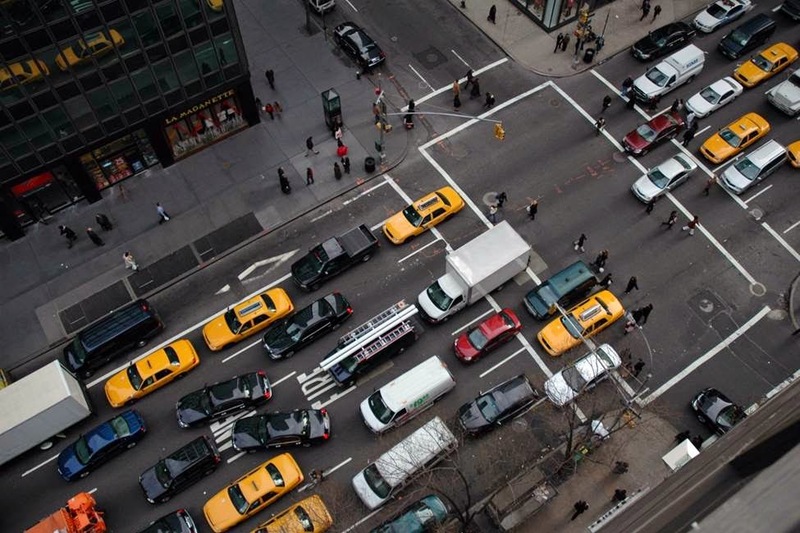 The causes of traffic congestion (or “traffic jams”) tend to be complex, but they all come down to having too many cars on the same streets at the same time. Recurring traffic congestion is most frequently the result of roadways having insufficient capacity for the volume of cars…too many cars or too little road. Alternatively, accidents, breakdowns, construction and other events that randomly restrict traffic flow are the typical cause of non-recurring traffic jams. A lack of parking is not the sole reason for traffic congestion; it is, however, a major contributing factor. Drivers looking for free or low-cost on-street parking may bypass off-street parking simply to save money…and contribute to traffic congestion. Off-street parking located too far away from shopping or retail businesses may also cause drivers to circle in search of parking that is more convenient. Casey Jones, chairman of the (IPI), is quoted as saying, "If we can cut the time it takes drivers to find a parking spot by even a fraction, the difference in our carbon footprint is meaningful. And, that's what many new technologies are making possible." We agree. Minimizing unnecessary circling or driving is good for everyone and aids sustainability. Distributing parking… placing smaller facilities closer to more popular destinations… is one potential method for minimize circling and its contribution to recurring traffic jams. Automated parking systems (APS) are ideal for putting parking spaces in small or otherwise unusable areas closer to retail or high-volume destinations. See how easy, profitable and congestion reducing it can be to install more parking spaces in the right place with APS. Call Skyline.